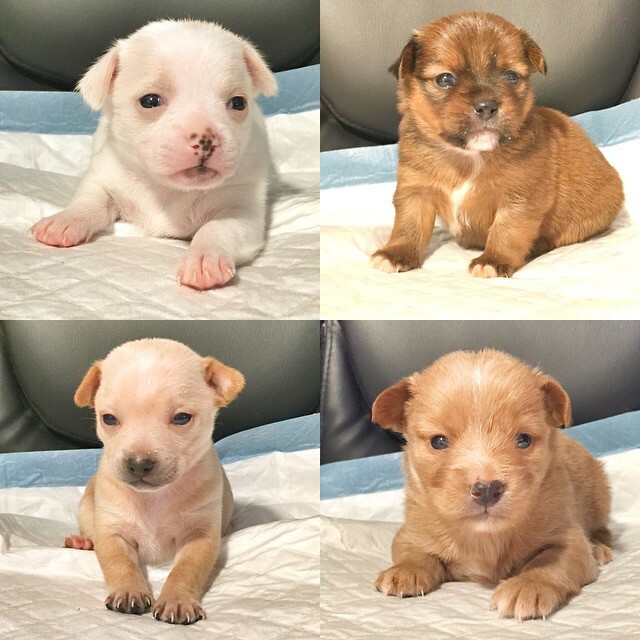 These four adorable chihuahua-mix puppies were rejected by their mother at around 2 weeks of age. Their owner was unable to bottle-feed and care for the pups and contacted me asking if I could help. The options were slim and risky- they would all have to go to the pound or be "sold" immediately. I was able to provide their owner with several low-cost spay centers and pet financial aid information, and she agreed to take the pups' mom in for spay as soon as she could. Elcie's new mom came to meet her and the love between them was instant and beautiful to see. They were clearly meant for each other. At this time, Aurora is still with us and is awaiting her meet and greet/adoption day, which will be August 3rd. We are so excited to see the last of these vivacious pups finally go into her forever home. I want to sincerely thank every one who helped with my Amazon wish list when I truly knew I couldn't do it alone anymore. This experience has been humbling, eye-opening, and vital to my road to acheiving my goal of opening my own rescue organization.